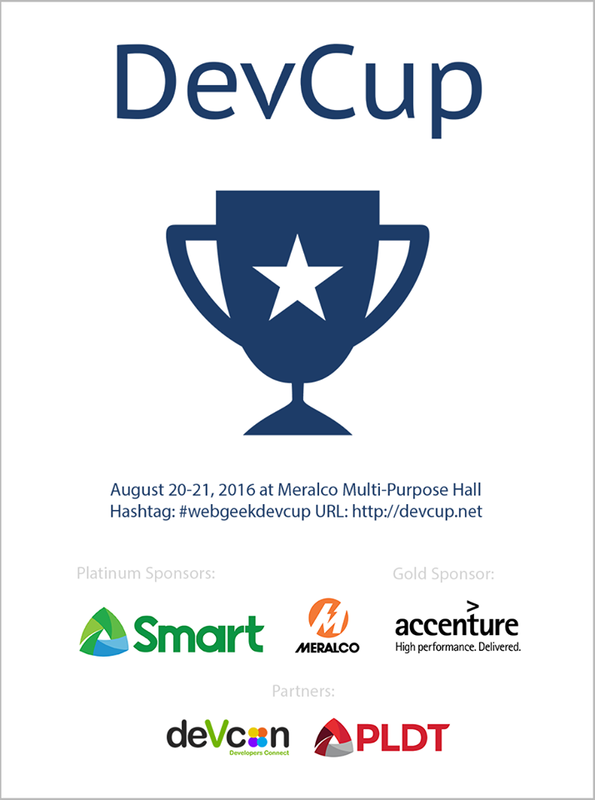 WebGeek Philippines invites all developers out there to join WebGeek DevCup 2016, happening at Meralco, Multi-Purpose Hall on August 20 to 21. Interested participant's can sign up as an individual, or up to a maximum of 3 for team. Conceptualize, develop, and create your bizarre kind of app that is of course in harmony with the given theme. This year's DevCup would be insanely awesome, so don't miss out on this chance. This event will be a great opportunity to show your software development skills. Invite your friends, share with people in your circle, tweet about it. The theme would be announce during the event itself.